VATICAN CITY, October 08, 2014 (Zenit.org) - "We must work to avoid a repetition of what happened after the promulgation of Humanae Vitae in 1968", said Cardinal George Pell Friday night at the presentation of the book: 'The Gospel of the Family: Going Beyond Cardinal Kasper's Proposal in the Debate on Marriage, Civil Re-Marriage and Communion in the Church' (published by Ignatius Press). Authors of the book are the professor of pastoral theology of marriage and of the family, Don Juan José Pérez-Soba, and professor of philosophical anthropology Stephan Kampowski. In a meeting that was held in Rome at the Pontifical John Paul II Institute for Studies on Marriage and Family, Cardinal Pell said that "the Christian vision of mercy is the central theme of marriage and sexuality, and of forgiveness and Communion." "Mercy," he explained, "is different from most forms of tolerance," even though "it is one of the most commendable aspects of our pluralistic societies." However, the cardinal added, "the freedom of adults and the inevitable differences do not necessarily have to be based on an absolute relativism. " With regard to marriage, the cardinal recalled that "the indissolubility of marriage is one of the richest truths of divine revelation" and "it is no coincidence that in the Judeo-Christian culture, monotheism and monogamy are associated." "Lifetime marriage," he said, "is not just a burden, but a gem, an institution that gives life." "The societies that recognize this beauty and well-being," he added, "are able to protect married couples by means ofeffective disciplinary measures." For the Church, he reiterated, "the doctrine and the pastoral practice cannot be in contradiction with each other and it is not possible to sustain the indissolubility of marriage while allowing remarried grooms to receive Communion at the same time." According to Cardinal Pell, the different tradition practiced by the Orthodox "to which they were originally forced by their Byzantine emperors has never been the Catholic praxis." One could argue, he said, whether the penitential discipline dating back to the early centuries, before the Council of Nicaea, were too strict in matters of murder, adultery or apostasy, but "it has always been recognized that God knows how to forgive, even when the possibility of the Church to readmit the sinners in the community was limited." Later, he asked whether one could possibly ignore the rules of the early Church such as the teachings concerning marriage of St. John Paul II. "And the decisions that followed the divorce of Henry VIII," he added, "were they really completely useless?" Regarding what will happen to the Synod on the Family, Cardinal Pell said: "We have to speak out, because as soon as the wounded, the lukewarm and the people external to the Church will realize that a fundamental change of the doctrine and of the pastoral is impossible, then the more we anticipate this, the more we will manage to dispel hostile disappointment that inevitably will follow from the reaffirmation of the doctrine." Answering questions from journalists, Cardinal Pell said that the most pressing problem is that of empty cradles, the demographic collapse of the most advanced societies. He wondered whether the program of population growth issued by Vladimir Putin will be effective. When asked if the Pope was irritated in front of the books that criticize the positions of Cardinal Kasper, Cardinal Pell replied that by meeting the Pope every two weeks, he has been able to spend some time with him and he has "never seen him irritated. " With the Pope, he said, "there is freedom to speak frankly. It is a pleasure, because he accepts every discussion with kindness and reason, and without controversy. " 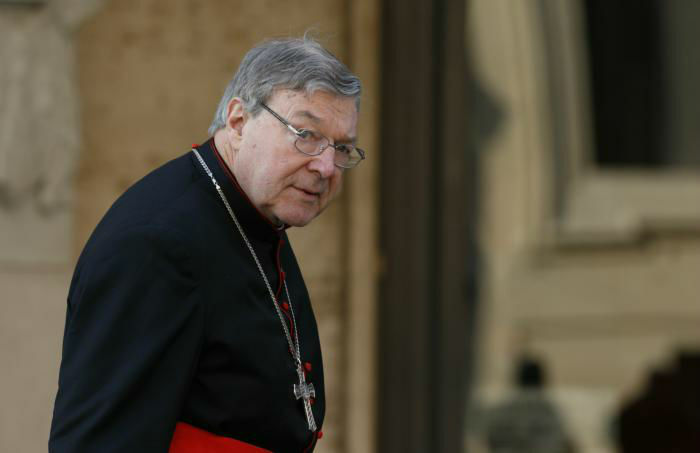 Regarding what is written in the newspapers about the mood and the reactions of the Pope in this or that criticism, Cardinal Pell said: "I am new to Rome, but one thing I have understood. Not all the things written in the papers are necessarily true."